“French winemakers threaten to block Tour de France after Chilean wine chosen as sponsor,” reports the Telegraph. 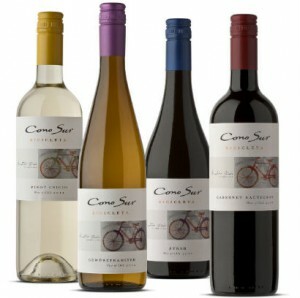 Chilean wine group Cono Sur, which produces wines under the “Bicicleta” label, is an official sponsor until after the 2017 event. In Vinous, Antonio Galloni shares his thoughts on 2011 Brunello di Montalcino, and Montalcino’s microclimates and terroirs. Last week, John Fox, the co-owner of Premier Cru, faced his creditors yesterday and took the Fifth Amendment 50 times. Frances Dinkelspiel shares details from the hearing in Berkleyside. Jancis Robinson reviews Peter M. F. Sichel’s book, The Secrets of My Life: Vintner, Prisoner, Soldier, Spy. Sichel is most famous for having driven Blue Nun sales up in the 1980s. Grape Collective publishes an extract of an interview with Peter Mondavi Sr. in 2013 for the first time. He talks about how Napa has changed, his relationship with his brother Robert, and his love of the family business. In the Washington Post, Dave McIntyre pens a tribute to Peter Mondavi Sr.
Steve Heimoff also comments on Peter Mondavi Sr.’s great achievements. In Wines & Vines, Peter Mitham reports on the highlights of the Oregon Wine Symposium. Rachel Signer explores the many sides of tempranillo, including fresher, lighter, New World styles in Eater. Copyright © 2015. 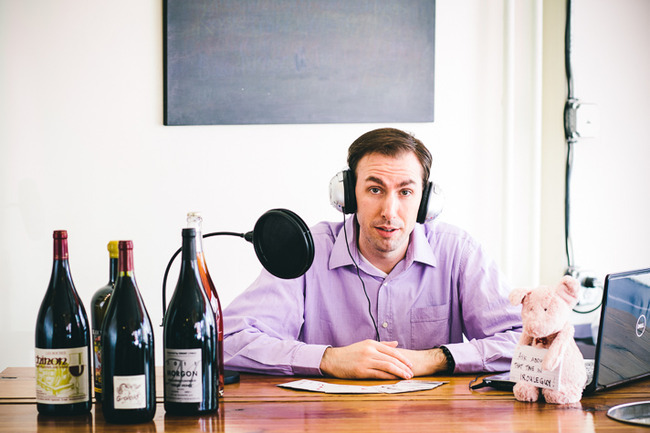 Originally at Wine Reviews: Weekly Mini Round-Up For February 29, 2016 from 1WineDude.com - for personal, non-commercial use only. Cheers! Episode 341 of I'll Drink to That! was released recently. It features Jacques Lardière, who oversaw 42 vintages at Maison Louis Jadot in Burgundy, and who now looks after the Résonance project that Jadot has started in Oregon. Jacques Lardière is someone who possesses incomparable experience (42 vintages, and across a wide range of appellations), fantastic stories, considerable open hearted charm, and some idiosyncratic theories. It can be hard to follow what he is saying at times. It can also be a joy. Each of the aspects of Jacques' personality is present in this episode, and that is no surprise, as he is someone who will bring multitudes to any conversation. What is really notable is how far this interview gets to the heart of Jacques' early personality, as he fully explains what interested him and why he entered on a career that would be decades long in Burgundy. Some people may identify a rebellious streak in Jacques, and he would agree. He offers an explanation of exactly where that comes from. Like for a wine, his character, says Jacques, derives from his region. And he expounds at length about what is important to him in a wine. But it is the personal memories that lift the interview to something else: catching snakes for venom studies, drinking wines with his father, blind tasting with Jules Chauvet, and the difficult 1972 vintage. These are amongst many treasures that Jacques shares in this conversation. As he does so, it becomes clear how much of a gem he really is.